Just by virtue of its title, it’s easy to figure out that Milwaukee Magazine focuses on this city we call home. But even with that as their monthly thrust, the October issue seems to delve especially closely into the soul of Milwaukee as the magazine set out to explore the fifty reasons we love Milwaukee. 1. The Greater Together Group - "Racial inequality, economic inequality, that's what they're trying to solve. I don't know if there is anyone who would think that is a bad thing," Hanan says. Vanessa Devaki Andrew's USA-made sustainable reuse clothing brand Madam Chino started 2003, and strives to remove the vanity and social irresponsibility from fashion through creative reuse. 2. Madam Chino - "(Vanessa Devaki Andrew) is continually reinventing what she is doing...she doesn't have waste and she uses it all really efficiently. And she's been doing it so long without really losing her focus that it's just something I am always impressed by." 3. Milwaukee Police Department Band - (America's oldest police band) "They've been around for quite some time...we just thought it was cool that they've been beating that drum for so long." 4. The Save Team (aka The Junior John Gurdas) - A group of high school students "interview World War II vets and really just try to capture their stories and make recordings of them...The kids' whole goal is to preserve these memories because we will not always have them." 5. Catherine Wilson (Executive Director of the Zielder Center for Public Discussion) - "The whole center with Catherine at the helm really works to start the discussion about the really tricky things...and not in a way that is oppositional, it's all about pure dialog." 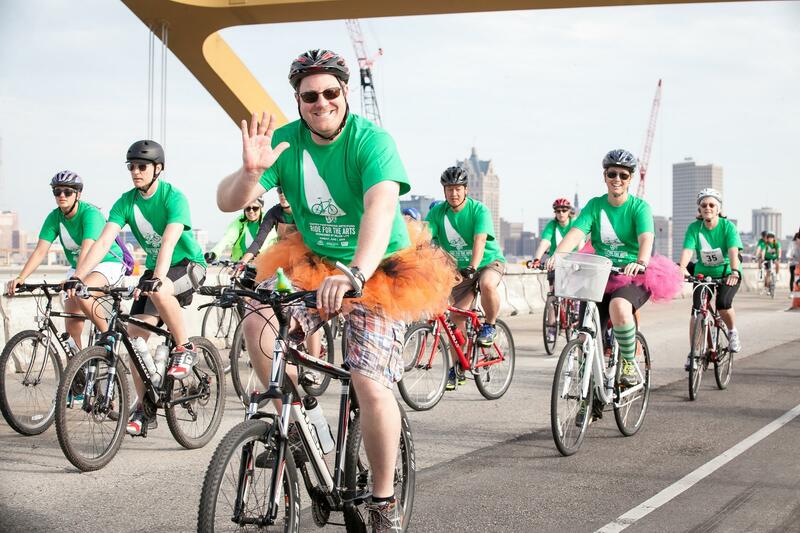 The "Ride for the Arts" is one of two events in Milwaukee that allows a rare chance to bike over the Hoan Bridge. 6. Biking or running over the Hoan Bridge - "You can in fact do it only twice a year...and as everyone knows that's the best view in town of the skyline." 7. 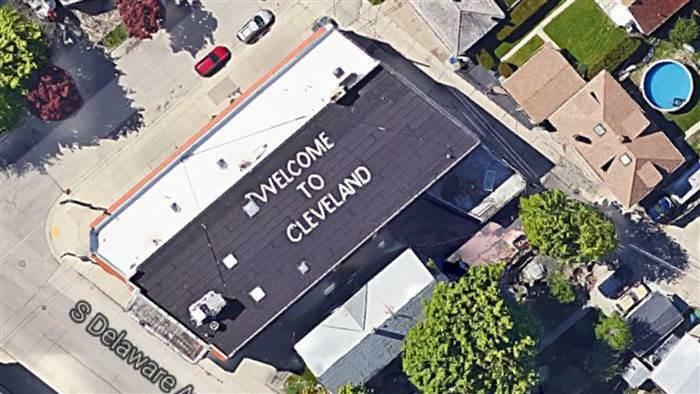 Artist Mark Gubin (known for his "Welcome to Cleveland" sign) - A simple prank that has been going on for nearly 40 years has again gone viral. "Any good Milwaukeean knows this, but we thought why not give him kudos again. It's still as hilarious as it was when he first did it, so it's the perfect 'Reason to Love Milwaukee' personality."